Duchess Kate made a surprise appearance at Coworth Park today near Ascot to watch Prince William and Prince Harry participate in a charity polo match. It is the second consecutive day the Princes have proved they are dab hands at the sport. Throughout William and Kate's relationship, Kate often attended his polo matches to support him. It's nice to see that tradition continuing on into their marriage. However today was a little more special with Kate on hand to present prizes with Lupo by her side. Over 200 special guests were invited including actors Russell Crowe and Tom Hardy to mark the tenth anniversary of the Audi Polo challenge. Funds raised from the event will be used to support Prince Harry's Sentebale charity which helps orphans in Lesotho. 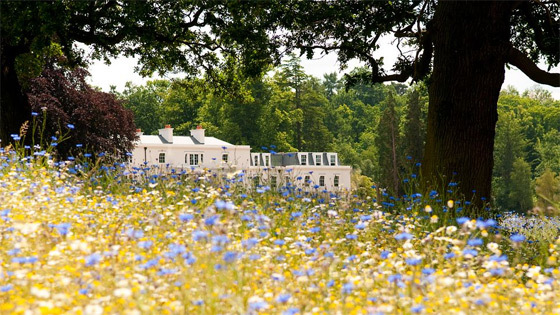 Coworth Park is a five star retreat set in 240 acres of parkland on the borders of Windsor Great Park. 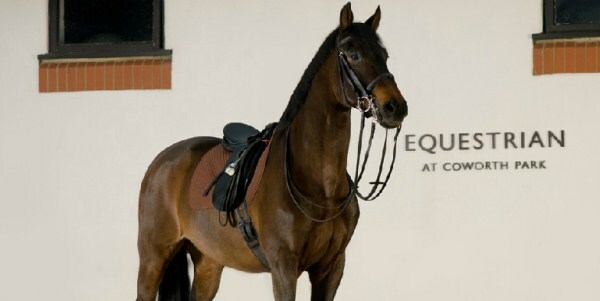 Coworth retains a close affiliation with polo, the season takes place there from April to September annually. The hotel has a fabulous spa, restaurant and bar. No doubt useful facilities for guests hoping to unwind after a game of polo. It's an incredibly picturesque place isn't it? The Royals enjoyed mingling with guests at the exclusive event. Kate did not wear tights today, unusual for her but definitely the right choice with open toed shoes. The Duchess wore the emerald blue and cream petal print Libelula Rebecca Shirt Dress. 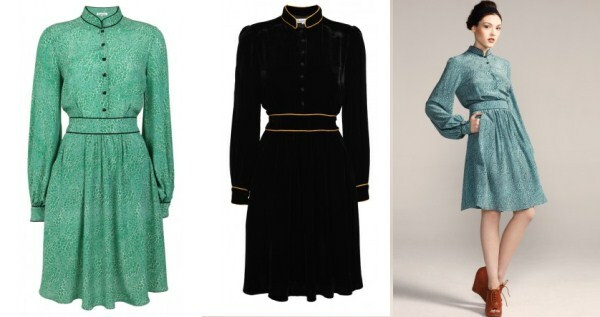 (With many thanks to Lara) The long sleeved, buttoned dress is currently on sale reduced from £290 to £199. The dress is also available in emerald green and black velvet. Libélula (Dragonfly in Spanish) is known for its in house designed, vibrant prints and beautifully cut, timeless and flattering pieces. Designer Sophie Cranston won the Designer of the year award at Graduate Fashion Week in 1999 and went on to work with Kate favourite's McQueen and Temperly before creating the label which also offers wedding and bridesmaid dresses. Kate previously wore the labels silk wool twill Dulwich Coat to a wedding in January 2011. The classic piece is still available in various colours for £399. Kate showed off her long legs in a pair of Stuart Weitzman Minx Wedges. 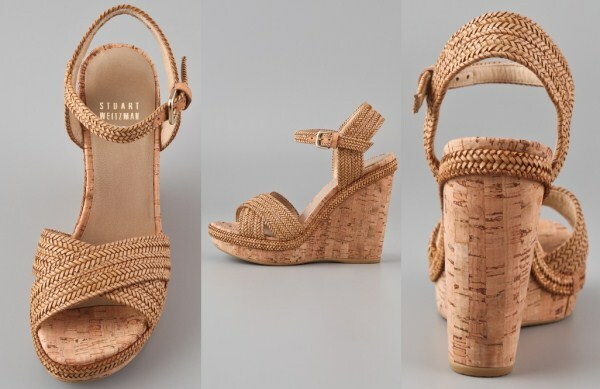 (With many thanks to Carolyn) The camel laniard shoes have an adjustable buckle and a 4 and a quarter inch heel. They are available for £398. 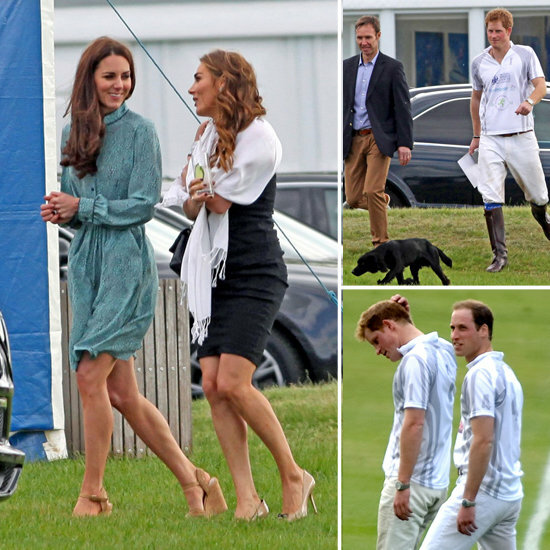 It was an unexpected surprise to see Kate at the polo today. Below we look at one of my favourite photos of the day, Kate dashing gracefully across the grounds. 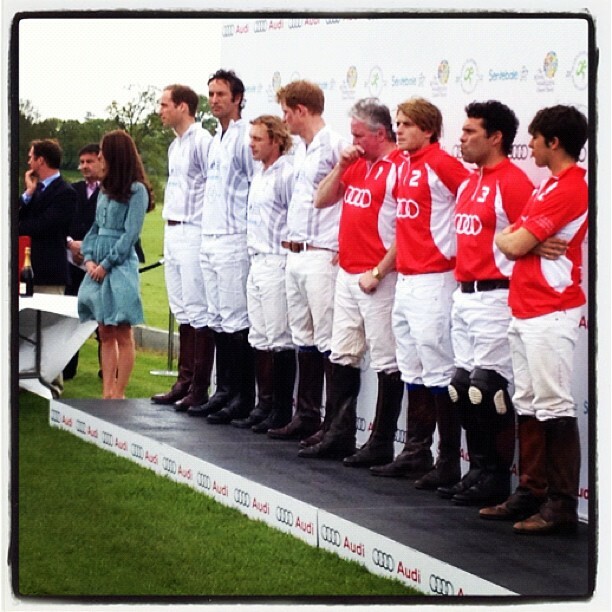 To view more photos from the polo match please visit the wonderful Pop Sugar. Not surprised it's Jenny Packham! It reminded me of the yellow Canada dress as soon as I saw it. Thanks, Sarah adding your location! I don't suppose you know where her wedges she was wearing are from? Thank you for the update. The Duchess looked fantastic and I loved that Lupo was along how cute! Wonderful to have you back! Love the post as always! The Daily Mail mentioned that on Saturday the Duke and Duchess attended a special Olympics Concert held at the Royal Albert in London. Do you know if there are any pictures or information about it? So very, very wonderful to find you back so soon after all the unhappiness ! Well done... My favorite blog on the beautiful Duchess rules again ;-) So much more fun to read about her thanks to you. Not liking that dress too much on Kate. It's too childish. Congratulations upon your merry return! Thanks for all the time and trouble you take to make your many readers happy and well informed!! The pictures are great. I'm so happy to see Kate again, Charlotte, we all missed your blog...:)!! Glad to see you back!! I'll keep you posted when Prince Charles & Camilla visit Australia for the Queen's Jubilee tour! I'm a Canadian studying in AU, here's my blog (http://melissagoesaustralian.blogspot.com.au/). I'll be sure to provide you with my own photos when I take them and I'll send them to you for free. i love kate but i must say i really dont like this dress, its to matronly - buttoned up to the neck, high collar and long sleeves! But great to see the suprise pics! It's sweet that the Duchess supports Prince William and Harry. As for her dress, I lthough it made her look gramotherly. But loved the wedge sandals! Thank you all for your lovely comments, much appreciated. I agree the dress wasn't Kate's best look, It seemed perhaps a little old for her and the polo event. Great to see the beautiful Duchess out supporting her Prince. And to bring their cute little Lupo with her. Can't wait to see them again next week. Wonder what the Duchess will wear. Hopefully she will have a tirar on. Any news on them attending the Epsom Derby on June 2, the Jubilee Lunch on June 3rd, the concert on June 4th. There sure is alot of things coming up not to mention the Olympics and their overseas trips. Has there been any dates sent for their trips? Well again thank you Charlotte for all the hard work you put into this blog for us fans. Your the best. I may sound odd, but I actually like this dress! An awesome post as always! It's nice to have you back! I agree with you all, the dress the beautiful Duchess had on today was not her best. And it made her look to old but you know we can have "our" way all the time. I was looking at some of the pictures taken and posted on face book and to me William did not look to happy today. He just did not have the shine in his eyes nor did he have alot of eye contact with his Duchess. It looked like to me that he did not want ot me close to her. As in the past they we always joined at the hip but today there was just something not connecting. Or is it just me??? Any comments out there? Help me out here Kate fans. I love it when surprise photos pop up! I'm not a big fan of the dress but Kate still manages to look gorgeous. Personally I'm not too fond of the style of this dress, it looks a bit old and it reminded me of the green Mulberry dress Kate wore last November, which wasn't my favourite either. But I think it was an appropriate choice for this event and Kate does look lovely, I think she can wear nearly anything :). I love the wedges. And it's nice to see her together with William and Harry and that she brings along Lupo, what an adorable dog! Wow, an unexpected but nice appearance of our duchess.. I like her shoes but the dress... The dress should have been more "sporting" considering the event, do you agree? For example if the dress had been without sleeves. You are back, I'm so happy, this is so exciting and has made my day! Yay your back! You were missed! The Duchess seems to definitely favor heels, whether in a formal or informal setting (other than sports shoes that is). I wonder if she owns flats?? As with the previous commenter, I'm also curious about the people she's talking to. Any info? (I admit it-i'm a gossiper). Again, thank you for your efforts not only to run, but to KEEP this blog running by working around difficulties. Says a lot about you. Also...I'm sure you've learned tons-this could be a stepping stone into the formal media world and other opportunities. Kudos to you. I agree with some of the posts regarding the Prince & his Duchess. There was just something missing yesterday. I guess there just was not the love connection. But we all have our bad days. I don't think there is anything to read into this but it is just weird that there was that spark between them. The Duchess did look happy, she was smiling. Charlotte what was your take on these comments? It is nice to hear from you since you live in teh UK and get more information then us state side fans. Looking at it objectively, perhaps William has not looked as happy lately as say before Christmas but this could be due to a number of factors. We know he has a distinct dislike towards the press and could be avoiding the press as much as anything else. YOu could be correct. William has said time & time again that he hates the press. And that he will do all he can to protect his beautiful Duchess. We all have bad days and this might just been one of his. The duchess looked happy so if there were anything going on you would think that she would not be smiling. Ane then look at the pictures from last week, there was that spark between them and that look of love. So maybe we are just in a panic becasue we all want this love affair to last forever. And I am sure that if there was anything happening Charlotte would bring it to us. Thank you for posting that beautiful picture of the Prince & his Duchess. There is that look of love you always see between them. I love it. Is there anymore of them together? I don't care for this dress at all. Maybe her worst choice in my opinion, but she does wear clothes very well. It won't happen, but I'd love to see her in a Victoria Beckham dress. I think she could do the pencil skirt thing very well. Lupo's adorable, but his name makes me think of Lupus. Thanks for the feedback/ jogging my memory on flats (yes, now I remember posts like the supermarket excursion one...)!! I absolutely agree about the photos, they only show a split second and the recent photos have been taken in quick succession, I would be inclined to think they are a very happy, united couple. So glad your blog is back! I am from the US and we get no coverage of her over here. :) Thank you for all the work you do writing your blog! How do you get to view the windsor tumblr? And I do agree with you Charlotte that these pictures of William & his beautiful Duchess are just taken so fast that they do not tell the story. You have to go back and take a realgood look at them. Thank you for opening the eyes of a big fan of the couple. Love your blog! Happy to see you back! Love the dress. She can pull it off because it shows off her tiny waist but adds fabric to her frame where she really needs it, such as her arms. I cannot visit the facebook page, have you removed it? Love your blog! Coffee breaks are sooo much better now this blog is back. So happy to see your blog again...I'm addicted :-) Thank your for all your great work! Charlotte How do you view the windsor tumblr. I would like to view some more of the pictures. Thanks again for a great blog.